Description of Post The appointed counsellor will be self-employed and insured and will provide person-centred supportive counselling for between 1-4 hours per week. Hours will vary depending on the number of clients and it is envisaged that this work will be in addition to the counsellor’s current workload. Hours are flexible and can be negotiated between the counsellor and the client to suit. The rate of pay is £30 per session. Location Clients are seen face-to-face at our base at Norton Park, 57 Albion Rd, Edinburgh EH7 5QY. Ideally, the counsellor should live or work close to this location. Responsible to The counsellor will be responsible to the Trustees of the charity. Confidentiality and Record Keeping The counsellor will be responsible for documenting, maintaining and storing client records consistent with all legal, ethical and professional requirements. Minimum 3 years’ post-qualification experience of counselling including working with young people. BACP/COSCA accreditation, or eligibility for accreditation and commitment to becoming accredited within 12 months of taking up post. Personal organization of external supervision with a suitably qualified counselling supervisor. Maintenance of appropriate professional indemnity insurance. Ability to work independently and to manage own caseload. 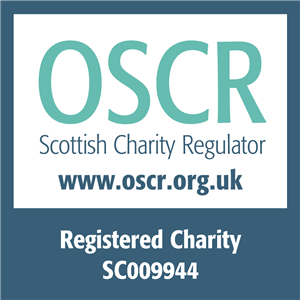 The charity TalkTime Scotland reserves the right to vary the candidate information or make no appointment at all. Neither in part, nor in whole, does this information form part of any contract between the Charity and any individual.